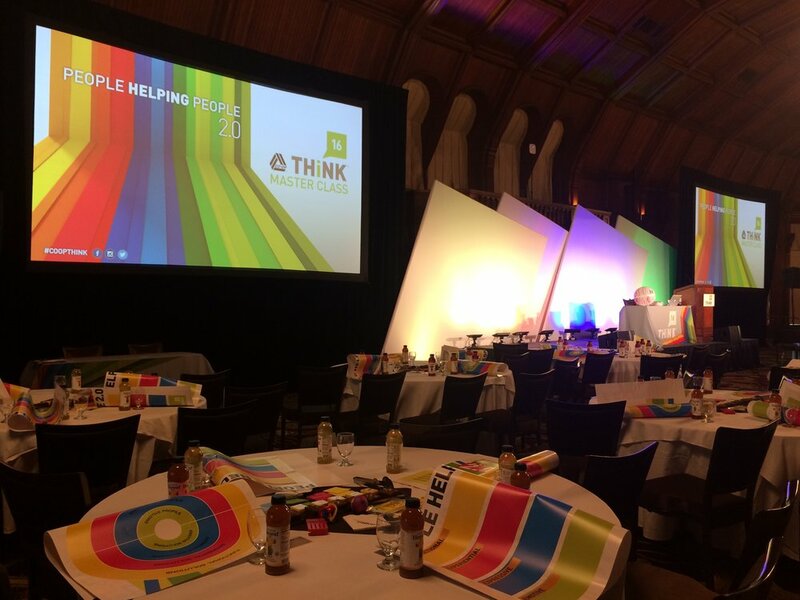 A few pics from THINK 2016 in San Diego! The OpenIDEO San Diego Meetup is off to a great start. 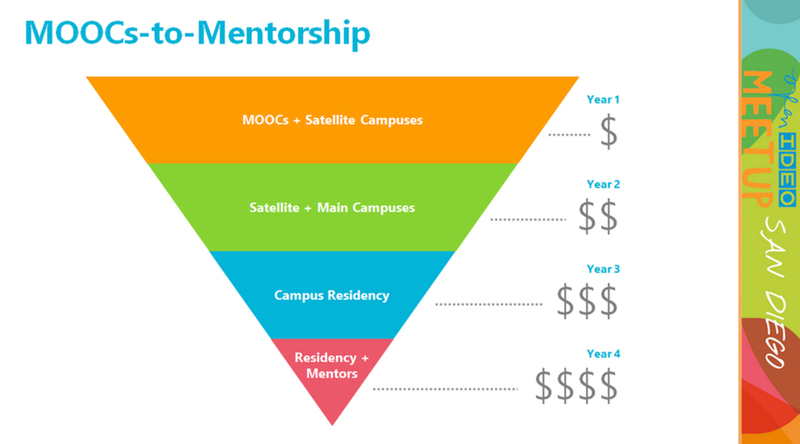 After three months, we're deep into the High Ed challenge and today we received some great news that our MOOCs to Mentorship idea has made the Top 25! Congratulations to the team! A touching talk by David Kelley on what we miss out on when we split the world into two camps...creative and analytical. He gives a beautiful example of what can happen when we move past labels and teach those whose confidence has been squashed to trust their instincts, build self efficacy and encourage innate creativity. I was excited to find this great article in Psychology Today over the weekend. Having been surrounded by skeptics for years, this gives a clear overview of the benefits of yoga on the brain from a neuroscientist’s perspective. For anyone who's ever wondered, "what's the point?" of suffering through a sweaty, shaky warrior pose, here's your answer. It all boils down to changing our natural responses to stress. We may come pre-programmed to react in panic, but that doesn't mean we can't retrain our minds to respond differently. Our brains are capable of incredible things. Yogis have been on to this for centuries, now modern advances in brain science support these ancient claims. We have the capacity to work past the natural fight-or-flight response and train ourselves to react differently through deep breathing and a focused awareness of the present moment. While struggling with a physical posture that causes physical discomfort or fear, we are creating opportunities to practice our reactions to stress outside of our yoga classes. The most exciting news? It doesn't take long to start to see results. In fact, I have a number of stories in which I have observed the results of regular yoga practice in my work and personal life. One particular moment stands out that I'd like to share. Toward the end of my time in Italy, I found myself working in an environment that caused me stress. There were many contributing factors; communicating in a second language, close physical proximity to co-workers, unwanted physical contact, aggressive language...etc. As a fairly reserved introvert, any one of these could make me want to run screaming for the hills. So as you might imagine, the combination was almost unbearable. It was here in this place that found the true purpose of my 15-year yoga practice. 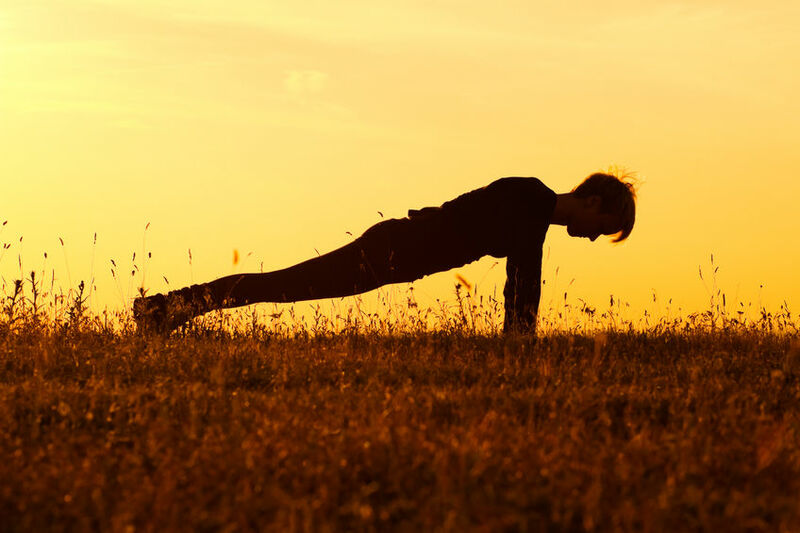 At this same time, I was deep in the middle of a consistent daily practice of the "dreaded" forearm plank, a posture that requires such stillness and concentration it can make even the most seasoned yogi squirm. It was in this posture I retrained my brain to respond to this very uncomfortable work situation. After a few months of this controlled plank practice, I arrived to work one day to find my boss in rare form. He had a habit of sitting much too close for my personal comfort and barking orders for hours on end into my ear as I acted as his "design hands". This day was worse than usual. It was on this day the most amazing thing happened. As I felt the urge to literally stand up and quit my job and run away, my rational "plank" brain took over. Just like in my yoga classes I began to consciously observe...my mental state, my body...like an out-of-body experience. I found my calm place in the stress. I began to breath very deeply and steadily through the discomfort and I was relieved of my feelings of anxiety. My whole body and mind changed in those few moments, so much so that it was contagious. After several minutes I noticed that my bosses breathing was in sync with mine. His tone and pace changed with my own and we were able to continue the work in a much calmer state. That's how powerful this practice is. It changes you. It changes the world around you. It's not magic. It's science and it's amazing. This summer I've had the pleasure of acting as a Community Mentor on the OpenIDEO Healthy Lives Challenge. The challenge, sponsored by NBC Universo, NBC Universal and Telemundo, aimed to develop solutions through the use of current technology that would help people lead healthier lives. The five winners were announced yesterday on the OpenIDEO Blog. Winning ideas include apps and wearables that promote healthy eating and exercise choices, as well as a television program with crowd sourced content. Click here to read more on the winning ideas! I'd like to give special mention to Catarina Rivera and her "Healthy You TV" Idea, for whom I had the great pleasure of mentoring through the final phases. Her win is well-deserved! There were many strong, user-centered concepts developed during this challenge. Congratulations to the winners and all contributors! My work on the OpenIDEO forum was recently awarded the THINK Prize 15 by the Co-op of Credit Unions. "My Money and Me" is a Grassroots Youth Campaign to Initiate Change. It is a concept based on the Rock the Vote movement of the previous decade applied to the efforts of financial empowerment for those who need it most. In this case the campaigns aim is to connect existing financial educational programming and services with the current youth generation to break down money stigmas and build an empowered, financially educated generation that will pass on financial confidence to future generations.